I AM DIGGING SOIL! I did the Soil For Life “Grow Your Own Vegetables” course. My motivation to do the course was that I kill almost everything I plant. I discovered, after reading countless vegetable gardening books and still many a dead plant, that I am the kind of person that needs to visually see how to help sustain life, particularly vegetables. I needed to put head knowledge into practice. I can’t encourage you enough to learn how to grow you own food and if you need a course that is both hands-on and practical but also incredibly informing then do the SOIL FOR LIFE course. Learn firsthand why SOIL HEALTH = PLANT HEALTH = HUMAN HEALTH. 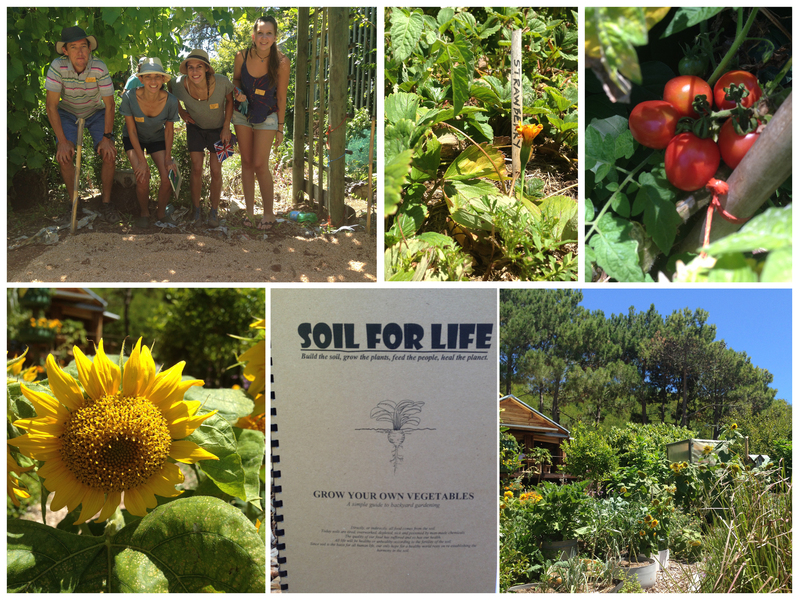 SOIL FOR LIFE Course Grow Your Own Vegetables – I DIG SOIL! I also wanted to honour soil by understanding the importance of healthy soil in relation to human health. The United Nations FAO have dedicated 2015 to “Year of the Soil”. What I want to focus on for this Friday Smile is the uplifting and vital work that Soil For Life does in poorer communities and the results that they achieve are astounding. I would like to congratulate Soil For Life for all they do and have achieved to help poorer communities, with no resources, to grow their own food. Bravo guys! If you wish to do a weekend course or just want to know more about the vitality of soil then give them a call on 021 794 4982. Become a Soil Ambassador with SOIL FOR LIFE. I will share what I discovered at a later date so stay posted for that. If you want to know more about our food system in South Africa then subscribe to EATegrity and receive a Mindful Monday recipe each week.